The most competitive prices in market. 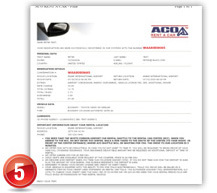 You or your agency will get an EXCELLENT COMMISSION for each executed car rental reservation. For bookings and commissions, you do not need to complete a registration. 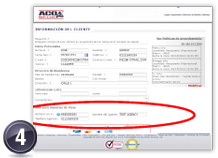 All that’s needed is your IATA Number or VT, ARC, CLIA NUMBER, TRUE, ID NUMBER, along with your PHONE NUMBER. Through our website, the reservation process is not tedious and you also save the cost of the GDS. With your IATA or TRUE number and agent name. Identifying with your IATA or TRUE number and agent name. Finally, you can print the booking confirmation. The best prices GUARANTEED in Venezuela, Florida and Aruba; as well as, new vehicles in optimal condition. More detail on travel agent commissions? (your request will be answered within 48 business hours). The driver must be over the age of 25.
is applied to Miami and Orlando reservations. Valid ID and drivers license.